What’s past is prologue. 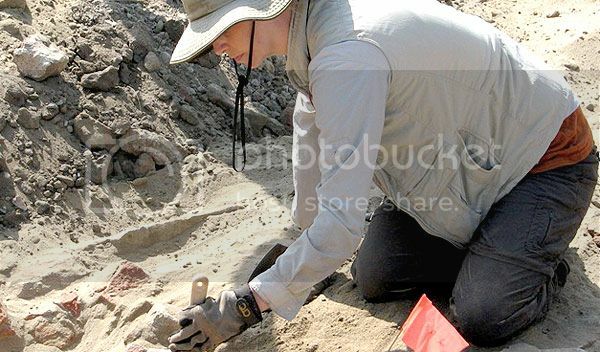 For centuries, researchers have studied buried evidence – bones, teeth, or artifacts – to learn about murky human history, or even to investigate vanished species. But today’s hi-tech forensics allows us to analyze samples dug from the ground faster and at a far more sophisticated level. First, the discovery of an unknown species of dinosaur that changes our understanding of the bizarre beasts that once roamed North America. And then some history that’s more recent: two projects that use the tools of modern chemistry and anthropology to deepen our understanding of the slave trade. Plus, an anthropologist on an evolutionary habit that is strange to some, but nonetheless common all over the world: the urge to eat dirt.